Easy registration with mobile number and OTP verification for the mobile number. 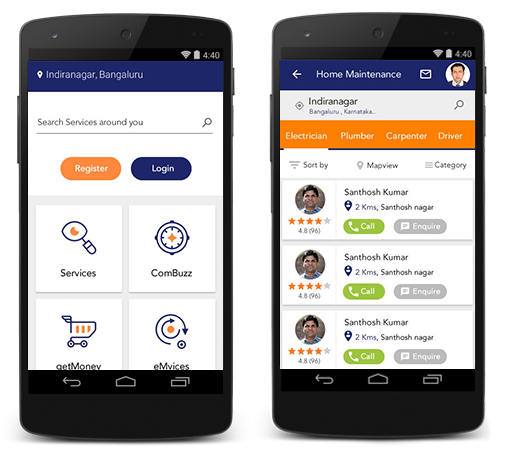 Search for ‘nearby’ services and ‘near me’ service providers within a radius, in close proximity, along with Google map view. Plotting of all the services and service providers together on Google Maps. List or display of service providers, along with their location in terms of a number of kilometers away, the services they can offer their qualification and experience for offering such services and access to their detailed profile. Call option and message option to directly contact the service provider through mobile or by sending a message to their phone. Edit profile option for creating a profile on the App. Provision for giving ratings and reviews for a service provider and the service obtained. Easy sign-up and registration for the Users. Tracking of Users current location for showing the nearest restaurants on the App. Search for ‘nearby’ restaurants or ‘near me’ food within a radius, in close proximity. View the menu of a restaurant. Choose the food for ordering. Pay for the order through theonline payment gateway. Get the food delivered at the door step. Provide ratings and reviews for the food ordered or the restaurant from where the food was ordered. View ratings and read reviews posted by other Users on a particular restaurant. 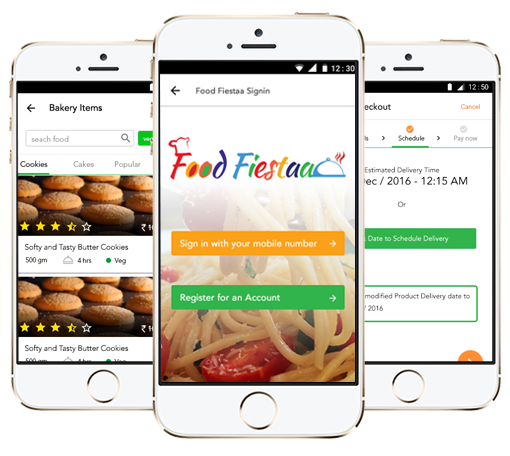 A separate App for delivery boys, where they will be notified about a particular order and the restaurant from where they have to pick up the order, to deliver the food to the end user. The end users can track the whereabouts of the delivery boys, while they are on their way, after picking up the food. Upload of school news to the app for parents to access them instantly. Branded to respective schools with afeature of using own colors and logos. Upload of content like policies and newsletters for parents to access. Provision for giving important alerts to parents through push notifications. Comes with a ready-made handy calendar for displaying school events and entering term dates. Provision for uploading of PDF and Word documents along with push notifications. Easy upload of home works, assignments and question papers. Easy upload of surveys and forms for parents to answer and provide feedback. Provision for teachers to upload timetable and set alarms and reminders. Keeps parents informed about their ward’s attendance at school. 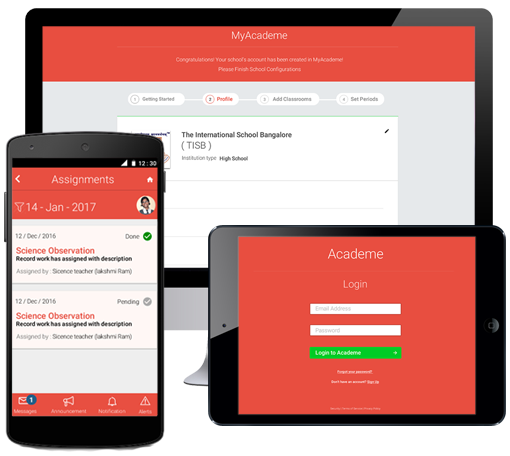 Helps parents to keep track of term dates and exam dates. Parents can get alerts instantly about school programs, events or any school update through text messages. Comes with RFID to track the whereabouts of children while they are traveling to or from school. WPIonic easily lets integration of everything in a WordPress based websiteintothe Mobile App, right from the login and registration functionality in thewebsite, which can be brought as it is into the Mobile App. The pages and posts in WordPress website can be easily brought into the Mobile App using WPIonic. Also one can show the pages and posts the way they like their site visitors to see, by using different themes in WPIonic. WPIonic offers the easiest way for converting blog website into a Mobile App. The blog posts and articles can be easily brought into the Mobile App, perfectly fitting its layout. The categories and sub-categories of pages and posts on WordPress website can be instantly brought in the Mobile App under menus. The site visitors will not only get a very good view of WordPress content on the Mobile App, but can also share the content with their social network friends. WordPress website’s visitors can also view Video articles and YouTube videos on the Mobile App.